Is Primark mad to ignore ecommerce? Obviously, we’re big believers in ecommerce at Econsultancy, and we would advise any retailer to start selling online, if they aren’t already doing so, but one big name still doesn’t see the virtues of online retail: Primark. I’ve written in the past about retailers that have shied away from online retail, and most of these retailers have since taken the plunge. Not Primark though, and it seems the retailer has no immediate plans to sell online. Indeed, its most recent trading statement (pdf) makes no mention of the internet at all. So, is Primark missing out as other fashion retailers grow their online sales, or is its business model somehow less suited to the internet? In the six months to the beginning of March 2013, its sales were up 24%. In the same period, sales rose to £2bn. Operating profits increased by 56% to £238m. Like-for-like sales rose 7%. These figures mean that Primark doesn’t necessarily need to be in a hurry to open up an ecommerce site, as it still has room for growth offline. However, there will come a point when it has no more room for expansion and this, in combination with the switch to online shopping, is likely to force its hand. What are the drawbacks for ecommerce, from Primark’s perspective? Primark’s business has the kind of low margin, high volume model that is similar to Amazon’s in some ways, so surely there is scope for an online retail operation. Or is there? Basically it comes down to the shipping process. There is a substantial cost difference between shipping pallets to stores vs picking individual customer orders and breaking up large pallets, and the storage and distribution challenge of fragmentation from a warehouse viewpoint. The costs associated with this would probably leave them with a negative margin so whilst there is the Amazon effect of becoming market leader at cost of profitability, perhaps Primark just cannot survive like that. It may also be the case that Primark’s current plans just don’t have any room for ecommerce. Its current strategy stands in stark contrast to those of the digitally-savvy, multichannel retailers like John Lewis or TopShop. If this were Woolworths or Republic, we might be criticising them for failing to adapt to digital, but the company’s sales figures and growth provide the perfect riposte to such criticisms. Primark is doing extremely well on the high street and, while online has ultimately played a part in the demise of entertainment brands like HMV, it has a fairly unique high street offering, fashionable clothing, which is cheap enough that customers needn’t worry about durability. Its current plan is to continue to grow its high street presence and to this end, it has opened 15 new stores in Europe (including four in the UK) over the past six months, bringing its total to 257. It has also worked to increase its total shopfloor space, upgrading its stores in Newcastle and Manchester. While the high-street business is thriving and growing, Primark can make a convincing case of “if it ain’t broke, don’t fix it”. 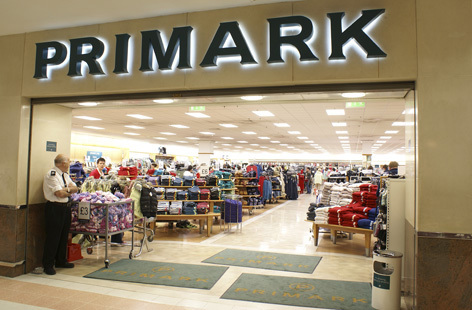 Many of the existing UK stores would still benefit from expansion and refurbishment, and Primark sees ample scope for adding overseas space too. Against this backdrop, going online could be a dangerous and costly distraction. On the other hand, there would certainly be a market for Primark selling online. Even now, there are parts of the country where the nearest Primark store is quite some distance away. Selling online can also be an effective and lower-cost way to enter new markets overseas. The danger is that by refusing to embrace online now, Primark risks becoming the Morrisons of fashion retail. When the meteoric success of Primark’s high-street operation starts to flag – as surely it must at some point – it may end up having to enter online retail from a position of necessity rather than strength. For the moment, it remains very much an offline retailer, but can this continue? Should Primark be moving online? It may be doing nicely right now, but does that mean Primark can ignore the internet for long? In my opinion, Primark must move online. Its prices are so low that it is among the very few retailers that do not have to worry about costly returns. For a customer, returning an item is simply more of a hassle than to bear the cost of keeping it. Online, when optimised out of the warehouse, will have tenfold higher per-square-foot sales figure compared to any of Primark’s stores. So what are the opportunities online for Primark? According to stats from Experian Hitwise, Primark, despite not selling online (and having a pretty uninspiring website) is still 66th in share of web visits in the fashion category, with more traffic than brands like Burton, Gap, and Accessorize. Searches for the Primark brand are growing over time, and are often higher than for rival retailers H&M, and much more so than TK Maxx. This suggests there is an appetite for a Primark ecommerce site among web users. What do you think? Is Primark right to stay offline? Is it missing a massive online opportunity? Or is it merely delaying the inevitable? Much of what is discussed within the digital marketing space tends to focus on getting the most out of digital to drive sales, enquiries and conversions. 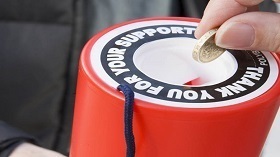 Over the past few weeks, Econsultancy has published a number of posts covering Twitter, Pinterest and Facebook and now I have five more general tips, put together as part of our recent digital training day for non-profits to help maximise their presence online. Smartphone CPCs in the US are 46% cheaper than desktop at $0.30 and $0.56 respectively, according to Q1 data from Kenshoo. In comparison, tablet CPCs are just 18% lower than desktop at $0.46. This highlights the fact that it is still relatively cheap for businesses to target customers through mobile search campaigns, an opportunity that many brands are failing to take advantage of. Our new Paid Search Best Practice Guide includes a section focusing on mobile search, including information and advice on Google’s new Enhanced Campaigns.